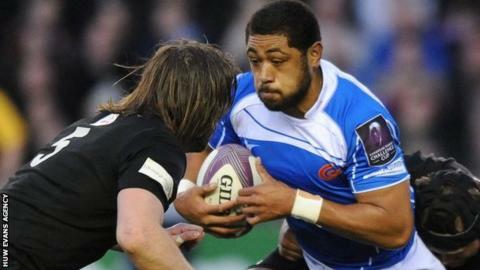 Dragons director of rugby Lyn Jones says people will be surprised by the quality of rugby in Russia after a team from Siberia qualified for next season's European Challenge Cup. Russian champions RC Yenisei-STM booked their place by winning a two-legged play-off against Romania's Baia Mare. It could mean a trip to Krasnoyarsk for Dragons or Cardiff Blues. "You'd be surprised how good the quality is, especially Siberia. It's a real stronghold of rugby," said Jones. Jones said he would be "packing an extra vest" if Dragons - whose head coach Kingsley Jones used to hold the same position with the Russian national team - face the trip to Yenisey-STM. While RC Yenisei-STM do not have any players from the southern hemisphere, some of their domestic rivals do, with former New Zealand, Ospreys and Biarritz prop Campbell Johnstone part of the Krasny Yar side. Jones said Russian clubs "pay a huge amount" to players, adding that the league is "infested with southern hemisphere boys looking for a buck". This season the Dragons reached the semi-finals of the Challenge Cup, losing to Edinburgh, the team they face at Rodney Parade on Friday in their penultimate game of the season. A Dragons win would boost Scarlets' chances of a top six Pro12 finish that brings automatic entry to the top-tier 2015-16 European Champions Cup. Dragons prop Boris Stankovich is rated as 50-50 to be fit.